VESA mount is a universal monitor mount that will attach to most monitors and is for installation requiring permanent attachment. The Security Screws locks your monitor to the arm mount. Requires torx security bit to remove. Add rotational stop knobs at each point of articulation. 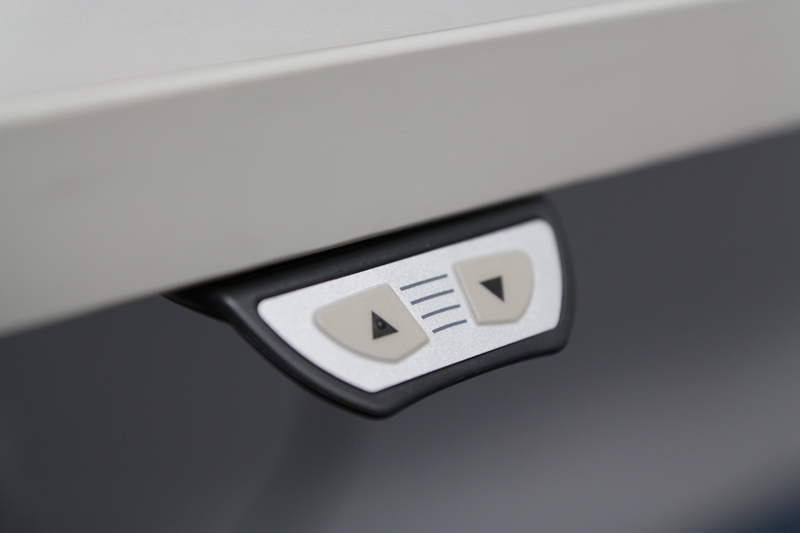 The knobs are easily adjustable to lock the SpaceArm and monitor into the configuration that best suits the user's requirements, creating the ideal touch screen working conditions. 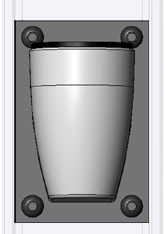 For protection of monitor collisions, add a 180 rotational limiter to the SpaceArm hub. 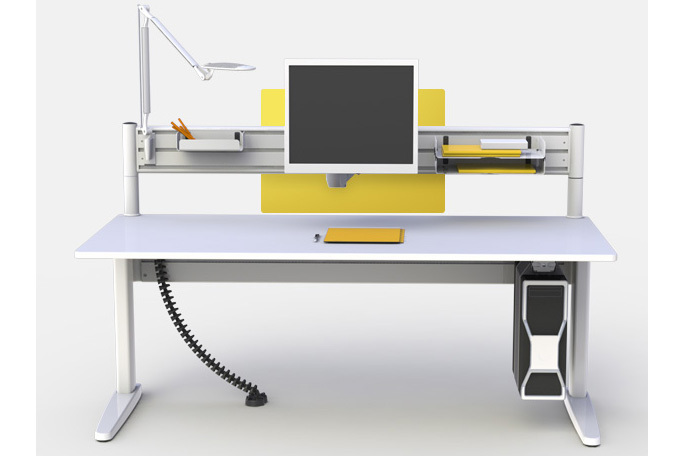 Combine the SpaceArm Monitor Arm with the Scissor Lift for an alternative, affordable Sit-Stand solution. 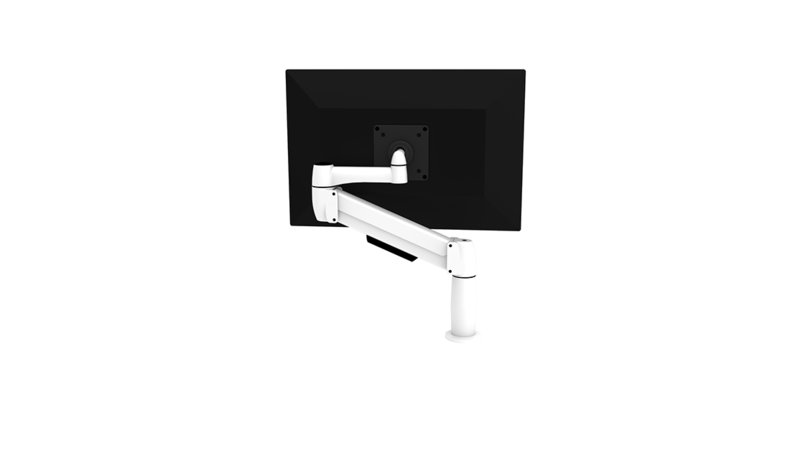 The SpaceArm Monitor Arm optimizes user workspace by supporting the monitor from the work surface. SpaceArms allows you to quickly and easily move your screen to the most ergonomically appropriate position. Sustainability and maximizing your investment is an inherent design feature in the SpaceArm series. 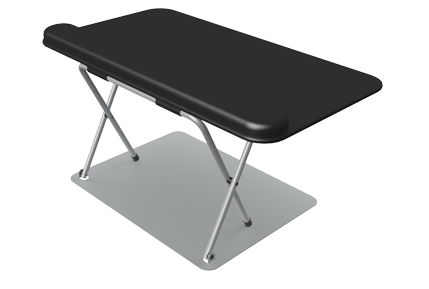 The Scissor Lift keyboard pad and wrist rest expands and collapses to suit each individual's height preference while allowing users to neutralize wrist position. 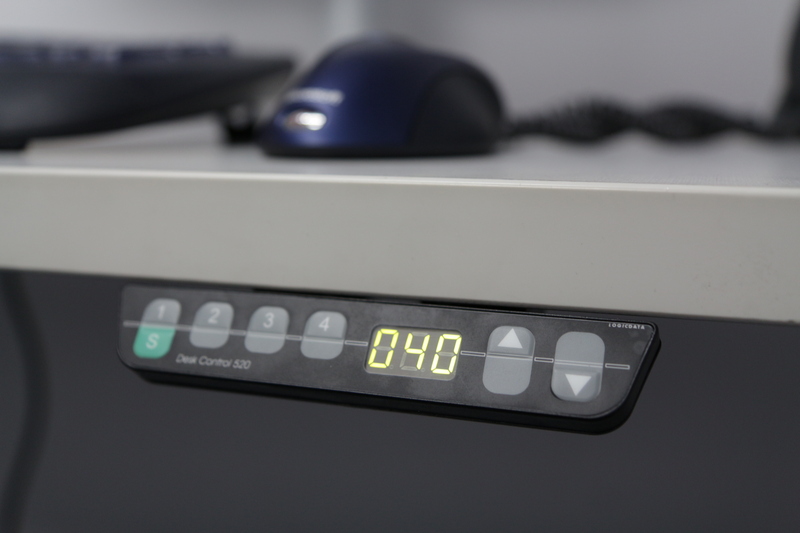 When extended, users benefit from additional work surface space below the keyboard. The wrist rest offers protection and support to the underside of users wrist. The SpaceArm Monitor Arm and the Scissor Lift are each heigh-adjustable, combining to compose a basic Sit-Stand work environment. Health - Users benefit from configuration flexibility, adapting their environments to suit individual needs. Ergonomic - Wrist rest relieves pressure on the underside of users' wrists. Space - SpaceArm makes maximum use of vertical space. Scissor Lift is collapsible with a slim profile, and increases work surface size when fully extended. Technology - Monitor, keyboard and mouse are properly stored and optimally positioned. Environment - made from recycled materials. 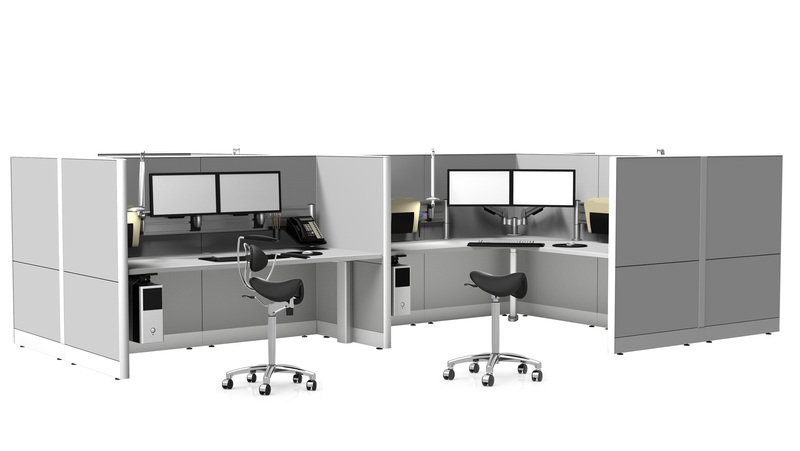 An alternative, affordable Sit-Stand solution is enabled by the height-adjustable components of both the SpaceArm Monitor Arm and the Scissor Lift. SpaceArm allows you to quickly and easily move your screen or laptop to the most ergonomically appropriate positions. The collapsible feature of the Scissor Lift makes it unobtrusive. 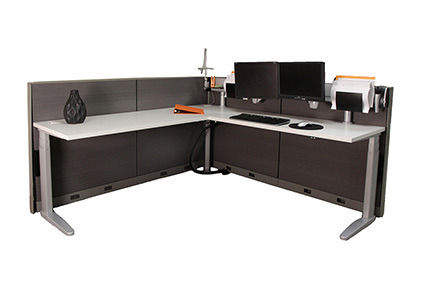 Its base adds stablility as well as extra work surface space. 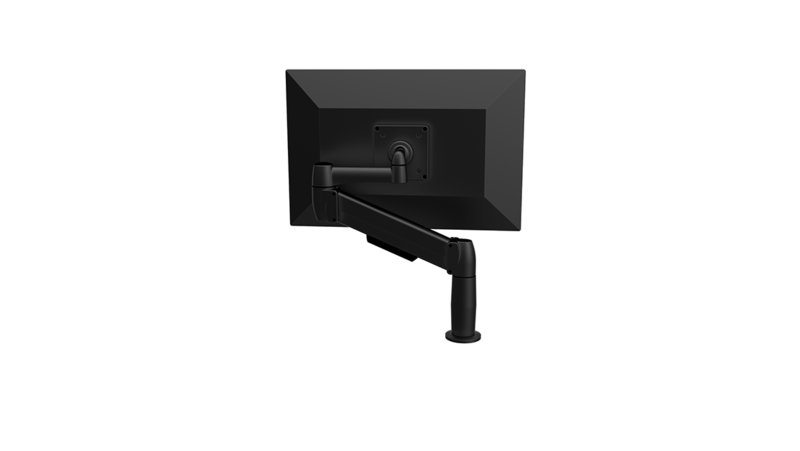 Mounts available: Bolt through, C-Clamp, Large C-Clamp, Grommet, Single Resolve, Double Resolve, Race, Wall, Column, SpaceBeam 1, SpaceBeam 2, Adjustable Slat-walls and a multitude of panel system brackets.